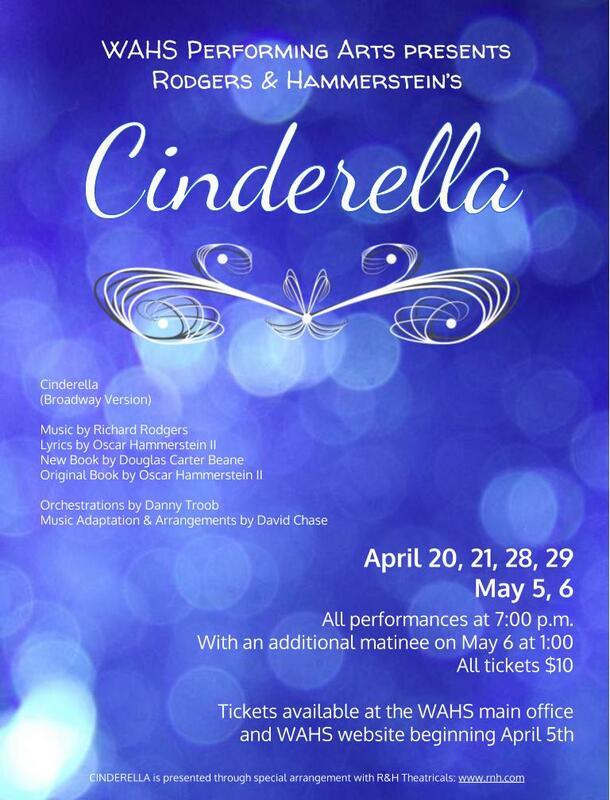 WAHS performing arts students present Rodgers & Hammerstein’s Cinderella this month. Tickets are available now for six evening performances and a matinee in late April and early May. The show is the Broadway musical version, which will include students in the theater, choir and band programs. All performances at 7 p.m.